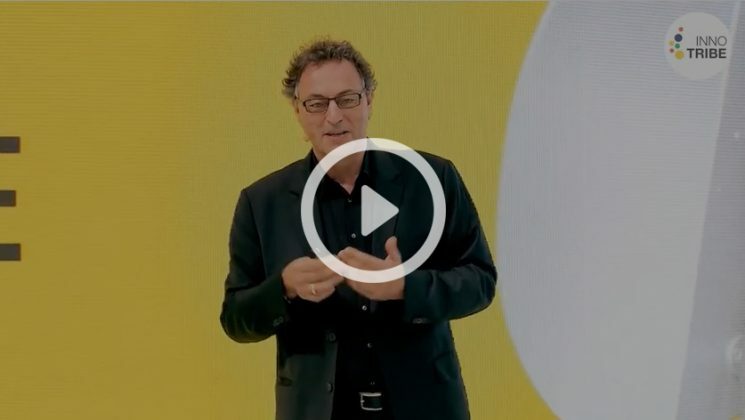 Teaming up with acclaimed film-maker and art director Jean-Francois Cardella, Gerd Leonhard has invented the next generation keynote-experience, fusing animations, video, audio, lights and live interaction to achieve immersive impact and lasting emotional involvement. 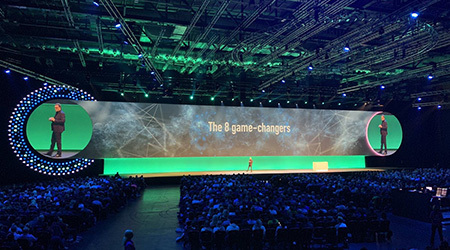 The era of tired old powerpoint slide-presentations is a distant memory as Gerd and his team deliver a dynamic live show that is always different, leaving deep realisations and lasting memories with your audience and catalysing your tribe in an entirely new way. Gerd’s Future Show takes you from today’s outmoded audience presentation scenario – a glorified schoolroom, really – into a highly dynamic and interactive arena that will reinvent the executive event experience. Review technical requirements for The Future Show, here. If you are a busy decision maker tasked with taking your community on a transformational journey into new business models, value chains, strategic visions and if you believe that your big event is a unique opportunity to inspire real change, consider Gerd’s Future Show format. 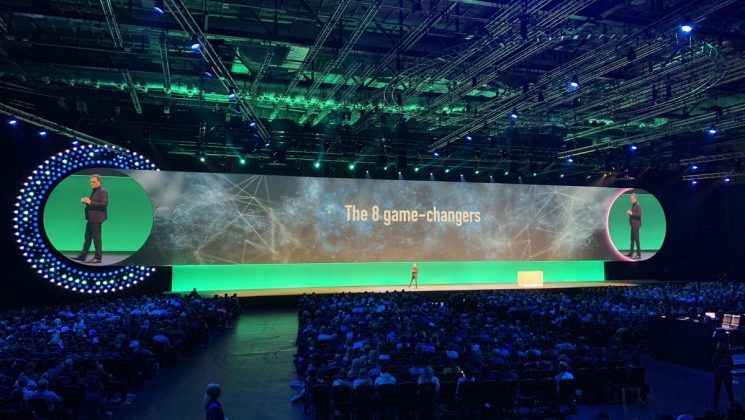 Future Show at XeroCon 2018 in London - the biggest audience and stage, ever! 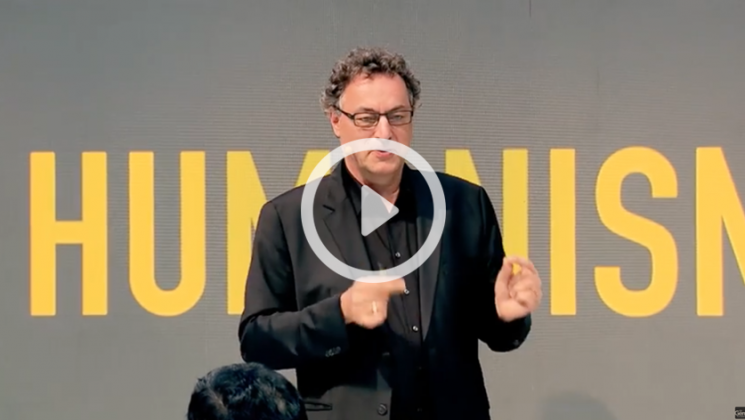 The Future Show LIVE at SIBOS 2016: Technology vs Humanity.